Firs, saute the chopped onions then add ginger garlic paste and saute 1 minute. add kheema and all the above mentioned masalas and chopped potato. cook till khema and potato are cooked well. make two slits in eggplants dividing into four sections. cut only up to the stem. 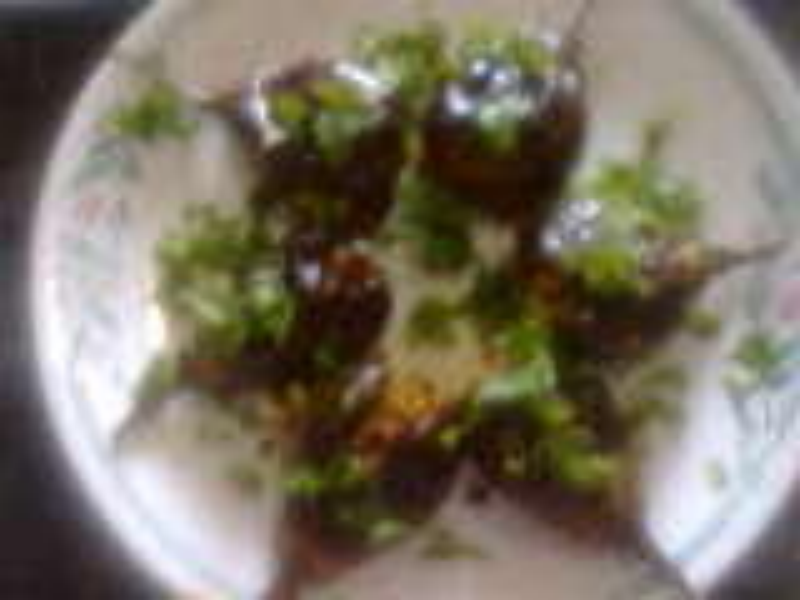 fill eggplants with kheema. put eggplants i large fry pan in shallow oil and cook on medium heat, turning the eggplant when lightly brown. cook till eggplant is nicely done on all sides. thank you mayask! I am waiting for this recipe to accepted by admin. Hi ! Delicious Brinjals. Thank U . Brinjal arrests premature greying of hair .